I want one. 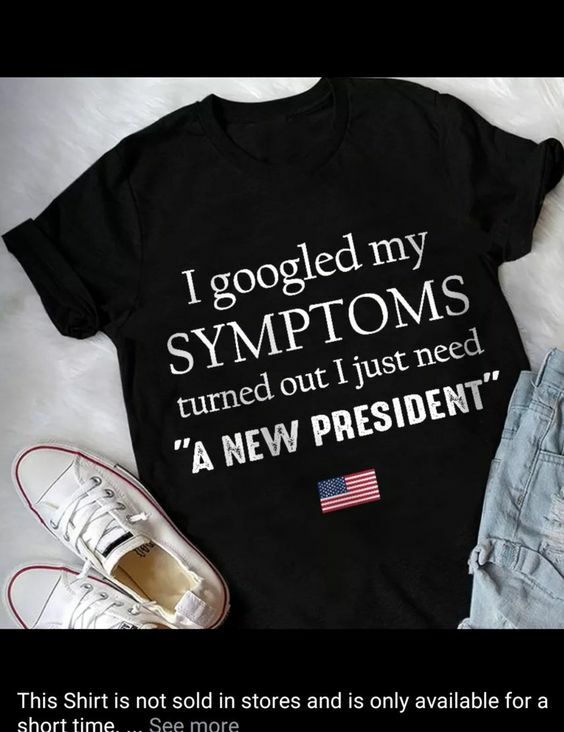 This is the perfect shirt for ANY occasion. This entry was posted in Uncategorized and tagged change, Christmas, gift, giving, President, symptoms, teeshirt, Trump, Trump Resistance Movement, truth on December 7, 2018 by Ray Buchanan. We have entered a time in the life of our nation when faithfulness to the Gospel is about to “get real” as they say. The chasm between patriotism and discipleship is growing ever wider. Executive orders are being issued daily that are in direct opposition to the values of Jesus Christ. The Gospel lesson for this morning is Matthew 5:1-12. It’s the Sermon on the Mount, also known as the Beatitudes. As I have struggled to prepare a meaningful sermon for my small and aging congregation I have tried to be open to the leading and prompting of the Holy Spirit. 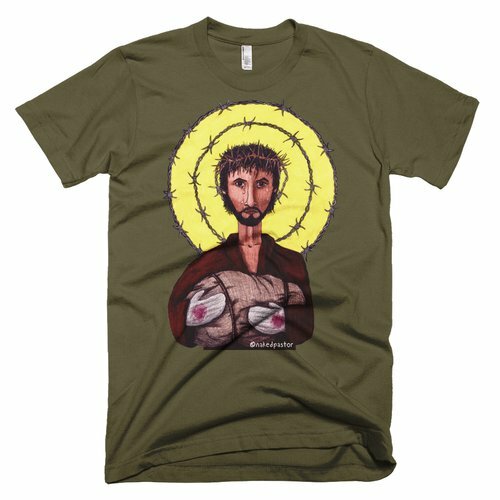 I could not stop the tears on seeing this teeshirt, Jesus as a refugee again brought home the ugly reality of authoritarian rhetoric being enacted into law. I know that Jesus promises to bless us, I know that Jesus teaches us to live lives of love, mercy, nonviolence and compassion. The issue I am grappling with now is how to demonstrate that in a nation that is bowing down to one who ignores, even flaunts Christ’s example and teachings. I know WWJD. What truly frightens me, is that I also know WWDD. The two are diametrically opposed. I have committed myself to following the man from Nazareth. That means I cannot follow BLOTUS. I am truly saddened that many of my congregation are not able to make the same choice. This entry was posted in Hunger & Poverty, News & Views, Spirituality & Religious Writings and tagged @nakedpastor, Beatitudes, BLOTUS, choice, Christ, compassion., congregation, Executive Orders, faithfulness, gospel, Jesus, love, Man from Nazareth, Matthew, mercy, nation, nonviolence, refugee, sermon, Sermon on the Mount, teeshirt, values, WWDD, wwjd on January 29, 2017 by Ray Buchanan.